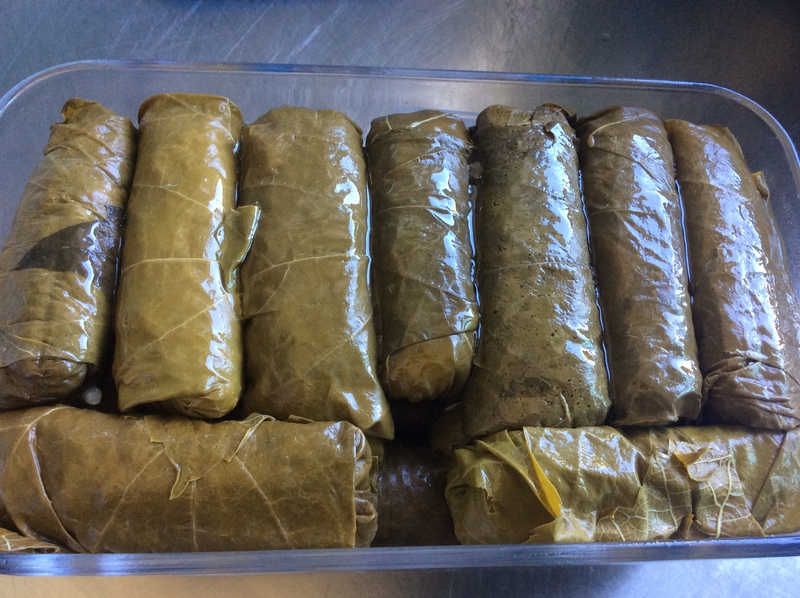 If you have grapes growing in your yard (or VINEyard), you should declare it “dolma season!” To heck with the mushy and expensive jarred grape leaves, you’ve got them fresh on the vine right now. If all you’ve got is jarred, no problem. Your dolmas will still be fabulous. The finished product. 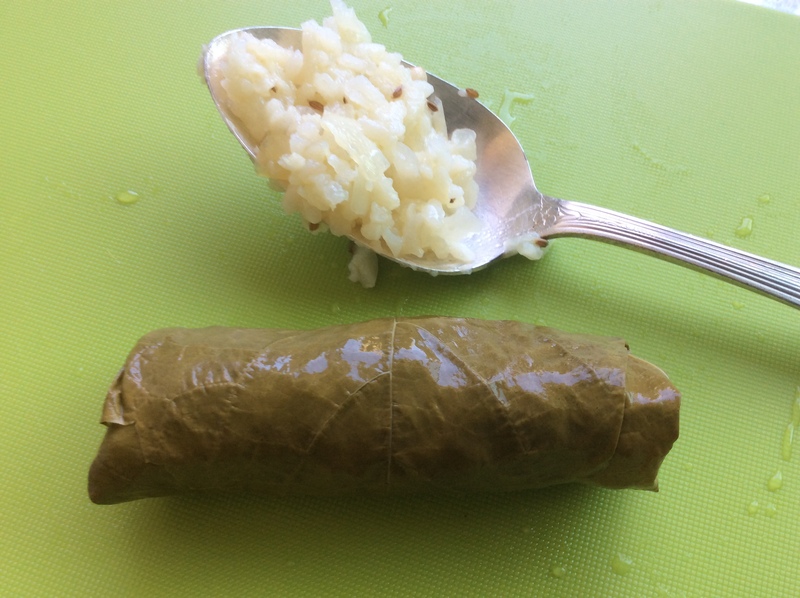 Recipe makes 40+ dolmas. I have been making these a long time and they are always popular at potlucks, office parties, etc. 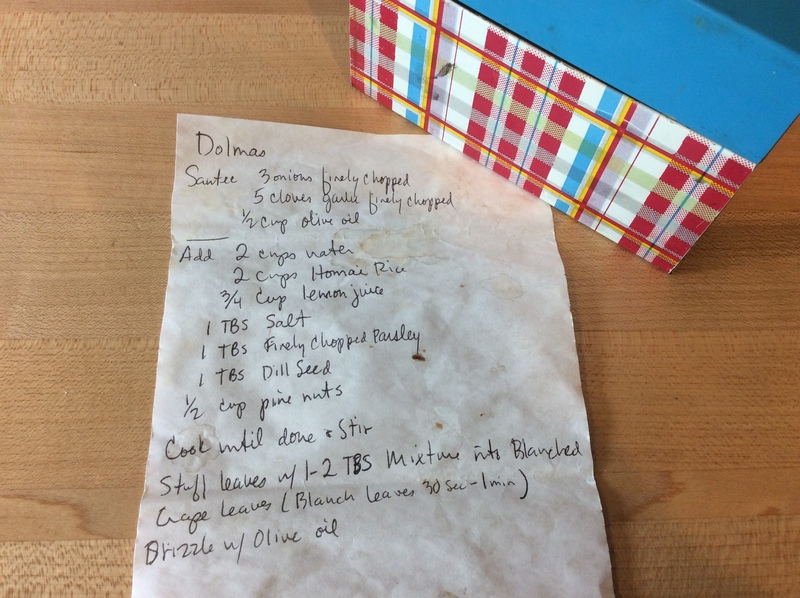 I must give recipe credit to a fellow on the outskirts of Philomath named “Mad Ed,” a jack-of-all trades who grows most of his own food and weaves baskets. Ed knows his dolmas. These are a little time-consuming to make. 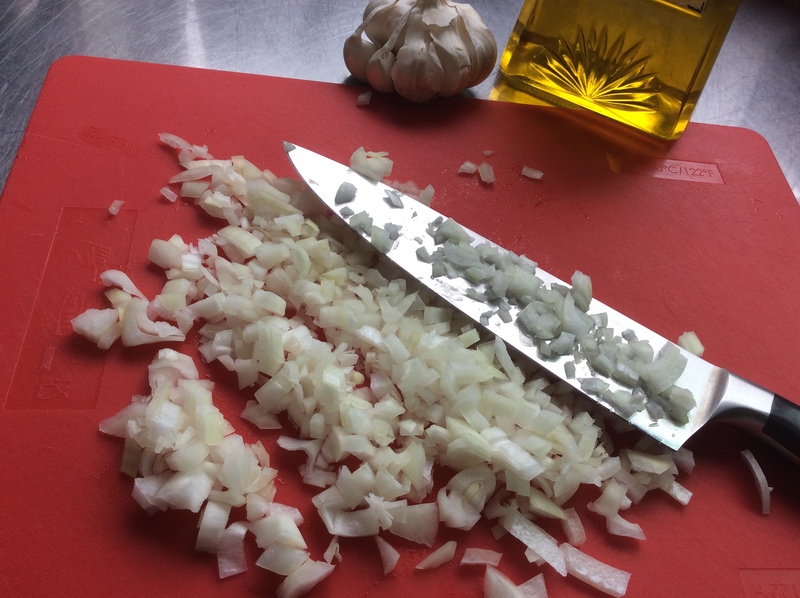 The mixture doesn’t take too long — chopping the onions and juicing the lemons are the hardest part (hint: zest the lemons before juicing them and use the zest for a creamy lemon pasta sauce, a pound cake, or other fabulous creation). The time consuming part comes in rolling them up. Crank up some music and do it. You won’t be sorry. With fresh grape leaves, blanch them in boiling salted water for about 2-3 minutes and then plunge into cold. Drain and use. For jarred, blanch about 30 seconds (no salt needed in the water), plunge into cold, drain and use. 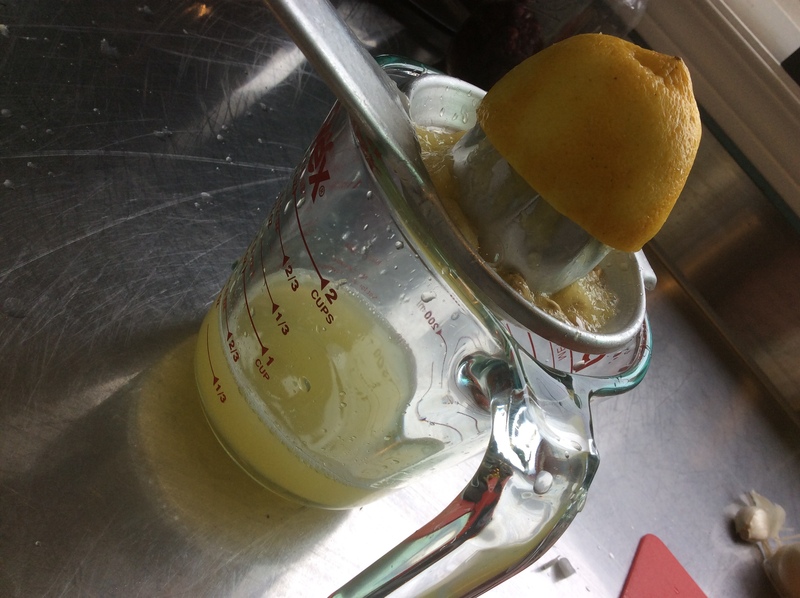 And, people, fresh lemon juice is a must. Don’t even think about that bottled stuff. It will just taste nasty and ruin all the time you spent making these. 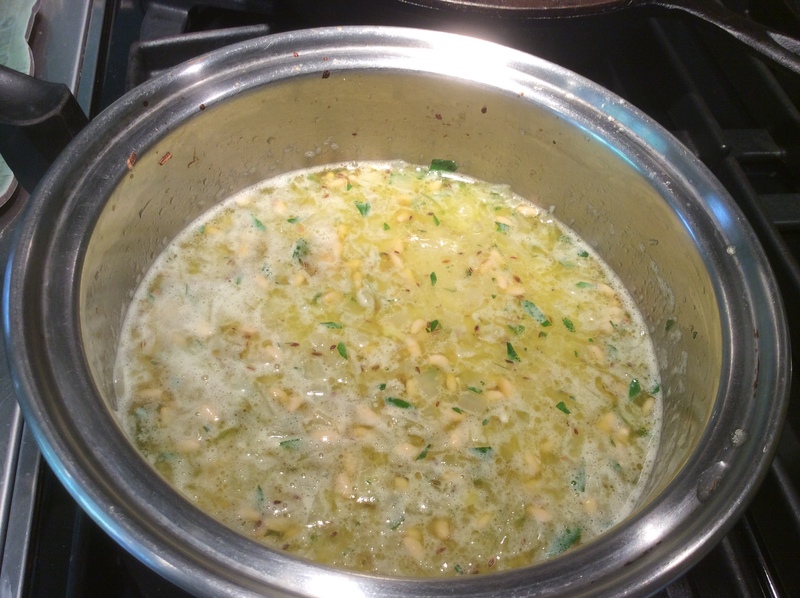 Bring to a boil then reduce heat, stir, cover and cook until rice is done (will be a little al dente; may need to add a few more tablespoons of water). Using about 2 T mixture per leaf, roll. Drizzle dolmas with olive oil to make them shiny. Serve. 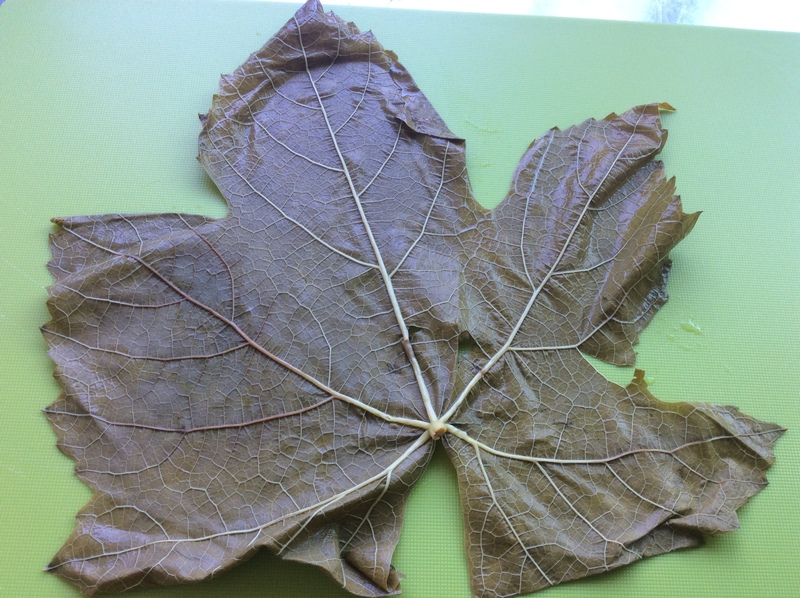 This entry was posted in Food and tagged dolmas, Grape leaves on June 3, 2016 by czelazek.